Mindful Sales Training offers a suite of online sales courses for entrepreneurs & freelancers who want to grow their sales in a mindful way. Own your future by learning new skills to take your business and life to a new level so you can live the life you love. 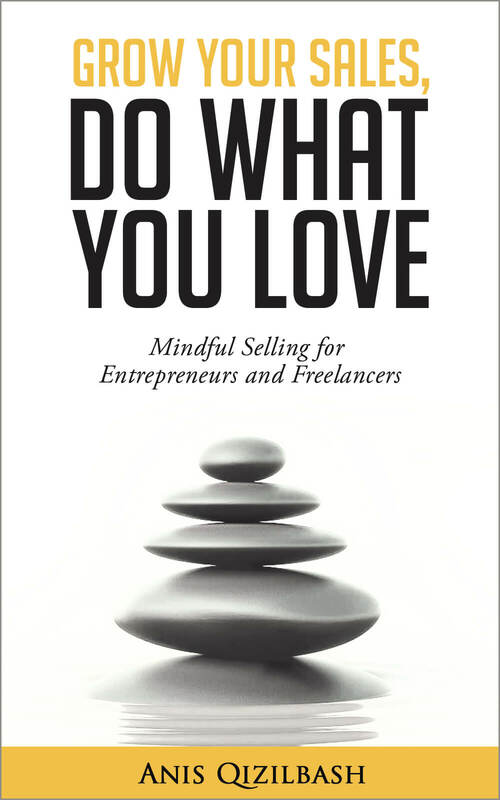 Mindful Sales’ online sales courses are designed for freelancers and entrepreneurs without prior sales training. Don’t worry if you’re don’t have the typical “sales person” characteristics — neither do I, you can still sell — you’ll learn simple mindfulness techniques to help you gain clarity and confidence to grow your sales authentically. Learn at your own pace with hours of quality videos, viewable across all screen devices, plus downloadable worksheets to enhance your learning. How do you catch people’s attention, on a cold call or email, have them understand what you’re selling and want to meet you, in seconds? Wouldn’t it be simply wonderful to have a systematic approach to make cold calls and send cold emails that get prospects wanting to meet you, without being pushy? Learn more about Conscious Cold Calling: Book more meetings to close more sales. How do you systematically attract more potential customers and turn them into paying customers? Doing what you love, but haven’t got the sales thang down? How do you turn conversations with strangers into a sales and endless business opportunities, without being pushy? And, you know what you’re selling is valuable, but how do you get customers to see the value and be willing to pay you for it?